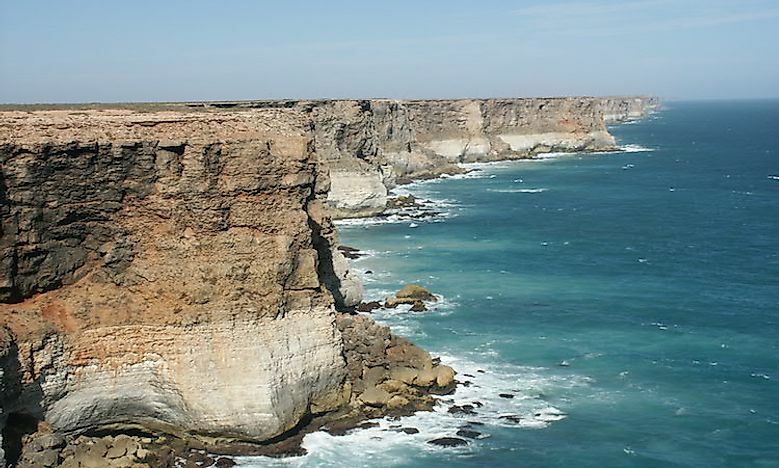 South Australia has 353 separate protected areas occupying 19.6% of the state’s area of which 22 are national parks. South Australia has 353 separate protected areas occupying 19.6% of the state’s area of which 22 are national parks. The Belair National Park, commissioned in 1891, was the first national park in the region. The largest national park is the Kati Thanda-Lake Eyre which occupies an area of 5,209.00 square miles. The region has several distinct ecoregions. Under the desert and xeric shrublands biome is the Great Victoria Desert ecoregion, which is characterized by an arid climate and open woodland vegetation. Part of the Simpson Desert, the country’s fourth largest desert, lies in the Southern region of the nation. Another desert ecoregion in the area is the Tirari-Sturt Stony Desert, marked by sand dunes and gibber plains. On the coast of the South Australia sits the Eyre and York Mallee ecoregion, where the original woodland cover has been cleared to pave the way for agriculture. The area is also home to temperate forests as well as stretches of the savanna. South Australia is home to a variety of plants and wildlife. Seabirds found in the region range from petrels, ospreys, sea eagles, albatrosses, sooty oystercatchers, to the Australian fairy tern. Other birds recorded in the area include the hooded plover, Australian Shelduck, orange-bellied parrot, wrens, Chestnut Teal, emus, eagles, western yellow robin, banded stilt, short-tailed grasswren, Falcons, and egrets. South Australia boasts populations of kangaroos, koalas, echidnas, dunnarts, bats, euros, dragon lizards, yellow-footed rock wallaby, fur seals, and the western pygmy possum. The marine regions of the area provide habitats to whales, sea lions, dolphins, and other fish species. The flora of South Australia includes the species Acacia, dune thistle, shrubs, eucalyptus, saltbush, conifer, sedge, and flowering plants. Animals in the region face some threats, and some species have been recognized as endangered or vulnerable. The fauna is profoundly affected by habitat loss mainly caused by clearing of forests for agriculture as well as urban development. Some animals in the region exist only in limited ranges as their habitats continue to shrink. The invasion of predatory animals such as foxes has reduced the population of some animal species while grazing by domestic animals such as rabbits and cattle brings competition for food and other resources. Other notable threats include climate change, fires, diseases, illegal hunting, and pollution, especially in marine areas. The National Parks and Wildlife Act (1972) provides the legal framework for the establishment of national parks in the region in addition to game reserves, regional reserves, conservation parks, and recreation parks. The custodian of the Act is the Department of Environment, Water, and Natural Resources. Since the first national park was established in 1891, other 21 have been commissioned over the years. National parks are crucial in protecting the ecosystems of the region. The parks monitor human activity to ensure the landscape is left unaltered and unspoiled. The parks protect unique plants and animals which would otherwise be vulnerable to extinction. The reserves also implement policies to restore populations of endangered plants and animals. The parks enable scientists and biologists to carry out safe research. The national parks are a symbol of natural heritage in the region and they also facilitate the area’s tourism. Where is the Sahel Region of Africa?